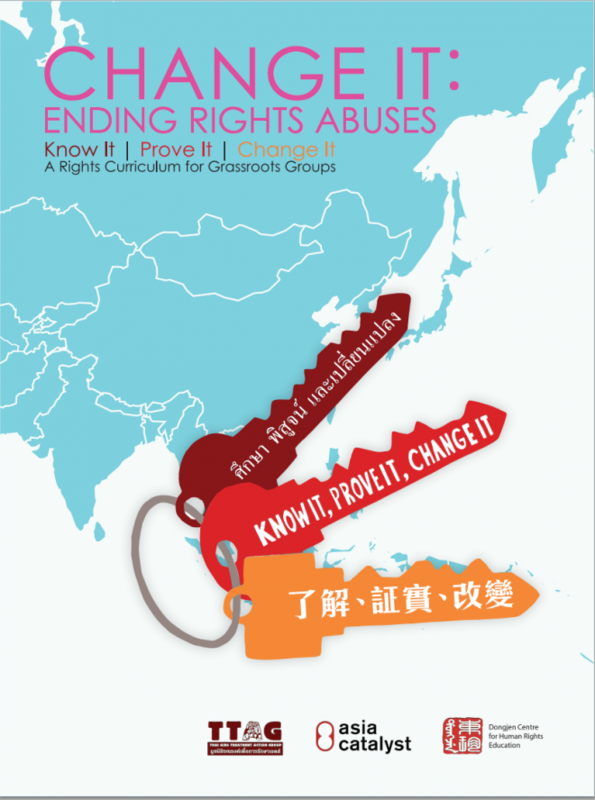 Asia Catalyst created Know It, Prove It, Change It: A Rights Curriculum for Grassroots Groups, in collaboration with Thai AIDS Treatment Action Group (TTAG) and Dongjen Center for Human Rights Education and Action. The curriculum was designed to help CBOs in communities affected by HIV/AIDS to understand their human rights, to document human rights abuses, and to design and implement rights-based advocacy campaigns. Each book includes a trainers manual, which describes the steps to take; and a Trainers Supplement, which provides lesson plans, sample exercises, and templates to use in a training or workshop. 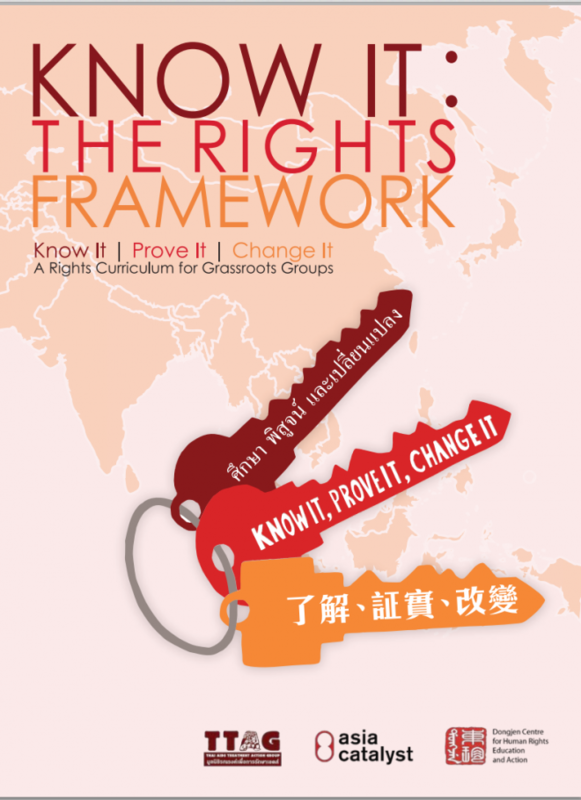 The Practical Field Guide for Community Based Human Rights Documentation is a companion guide to Asia Catalyst’s Know It, Prove It, Change It: A Rights Curriculum for Grassroots Groups. This shorter guide details the essentials CBOs need to run a documentation project in the field. Nonprofit Survival Guide leads CBOs through the fundamental components of strong organizational management at the grassroots level. If you have downloaded one of Asia Catalyst’s resources, please take a moment to fill out a short feedback form. Know It: The Rights Framework discusses international human rights law and how it applies to people living with HIV/AIDS and other marginalized communities. Available in English, Chinese, and Thai. 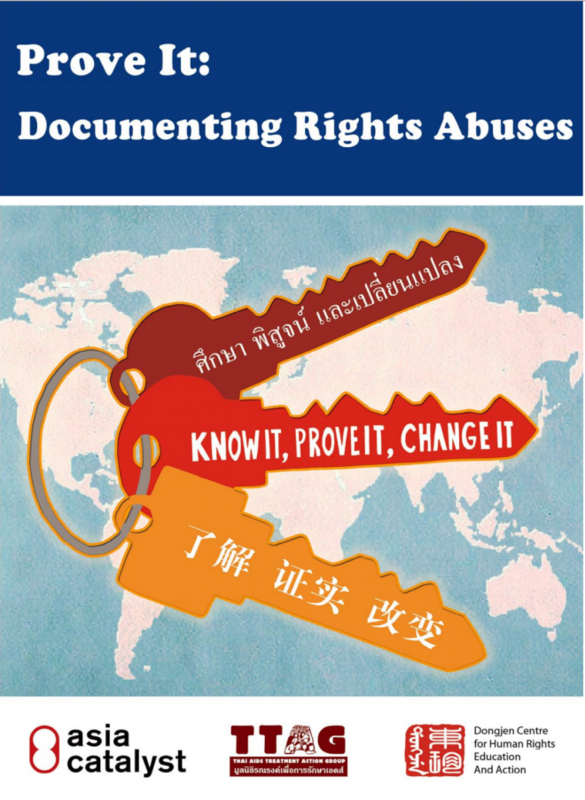 Prove It: Documenting Rights Abuses explains how to plan and conduct rights research. Available in English, Chinese, and Thai. 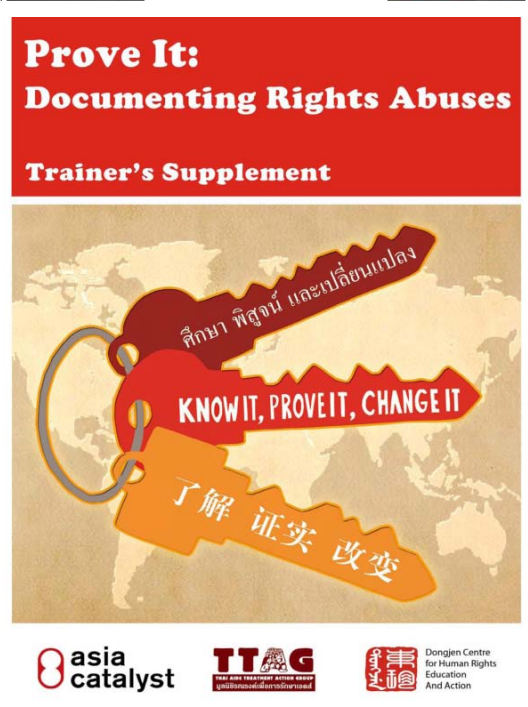 Prove It: Documenting Rights Abuses also has a Trainer’s Supplement, originally printed separate from the manual. The supplement provides exercises and lesson plans for community trainers to use in workshops. In Know It and Change It, the supplement is included in the same PDF. Prove It:Trainer’s Supplement is available in English, Chinese , and Thai. Change It: Ending Rights Abuses shows how to plan and conduct local, national, and international advocacy based on the research. Available in English, Chinese, Thai, and Burmese. 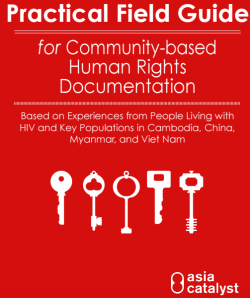 This Guide details lessons learned from Asia Catalyst’s Regional Rights Training 2016, which worked with eight community-based organizations from four countries to document systematic violations of human rights in healthcare settings. Available in English, Chinese, Burmese, Vietnamese, and Khmer. 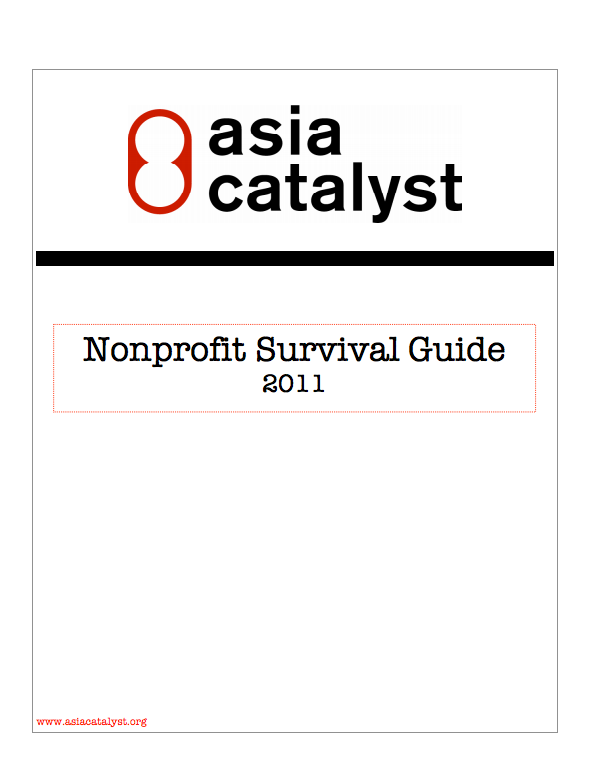 Asia Catalyst’s Nonprofit Survival Guide is tailored to suit the needs of Asian CBOs, and is available in Chinese and English. Use the guide to develop basic skills in strategic planning, volunteer and staff management management, and financial management.